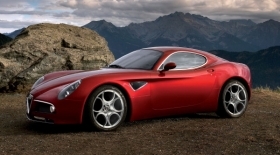 Alfa, which built a limited run of the 8C Competizione (shown), will have the same boss as Maserati. TURIN, Italy -- Fiat S.p.A. has created a new brand group for its sporty Alfa Romeo, Maserati and Abarth marques. The group will be headed by Harald J. Wester, who is currently CEO of Maserati and Abarth as well as chief technical officer at Fiat Group and Fiat Group Automobiles. Wester will keep all of his current job responsibilities. Alfa's current CEO, Sergio Cravero, is reassigned to head of product portfolio planning and product concept at Fiat Group Automobiles. "The purpose of bringing the Alfa Romeo, Maserati and Abarth brands under the same leadership is to emphasize and leverage the value of the shared qualities of the three brands in terms of their sporting characteristics and performance," Fiat CEO Sergio Marchionne said in a statement. "Harald Wester, who has demonstrated his enormous commitment on several fronts and achieved optimum results, will bring strong leadership capabilities and solid technical experience and know-how to this project," Marchionne added. In his new role, Wester is expected to identify potential synergies between Maserati and money-losing Alfa Romeo, which is undergoing a strategic review of its future. Alfa has lost between 200 million and 400 million euros a year in the past 10 years, according to sources. There are two options under consideration for the brand, which was founded in 1910 and bought by Fiat in 1986. One is to freeze investment in the brand after its latest model, the Giulietta, debuts at the Geneva auto show in March. The Giulietta will replace the 147. This would mean that the Alfa 166 would not be replaced and would leave the brand with the Giulietta and the MiTo, launched in 2008, as its only fresh models. The rest of Alfa's range -- the 159, Brera coupe, Spider and GT coupe will continue to be sold for a while. This option could result in a slow death for the brand, as sales would fall without the addition of fresh products. The second option is to use platforms from Chrysler, of which Fiat owns 20 percent, to underpin a D-segment sedan to replace the 159 and an E-segment sedan to replace the 166. Both new models would be built in North America. The review of Alfa is due to be completed by mid-April, which is when Fiat will unveil a strategic plan for the group for 2010 to 2014. Last year, Alfa's sales in Europe increased 8.1 percent to 110,545 units, according to ACEA, the association of European automakers, but were about half of the 203,000 units sold in 2000. Fiat will report Alfa's global sales on January 25. Wester, 51, is a German engineer who joined Fiat in 2004 from Austrian contract manufacturer Magna Steyr. In his five years at Fiat, Wester has accelerated the automaker's use of virtual engineering. This has helped slash time-to-market for vehicles based on existing platforms. It took 26 months to get the Fiat Stilo ready for its 2001 debut while it took just 15 months to launch the Alfa Romeo MiTo and Lancia Delta in 2007. Fiat's Wester began his auto career with VW..
Wester began his automotive career in 1991 with Volkswagen AG at its headquarters in Wolfsburg, where he was general manager of vehicle research and new concepts. He later moved to VW premium brand Audi to be program manager for the all-aluminum A2 entry-premium car. In 2000-2001, Wester spent two years at Fiat subsidiary Ferrari as director of product development. He moved to Magna Steyr in January 2002 to be its group president of engineering and chief technical officer. In November 2004, he rejoined Fiat as the group's chief technical officer. In August 2008, he was named Maserati CEO. 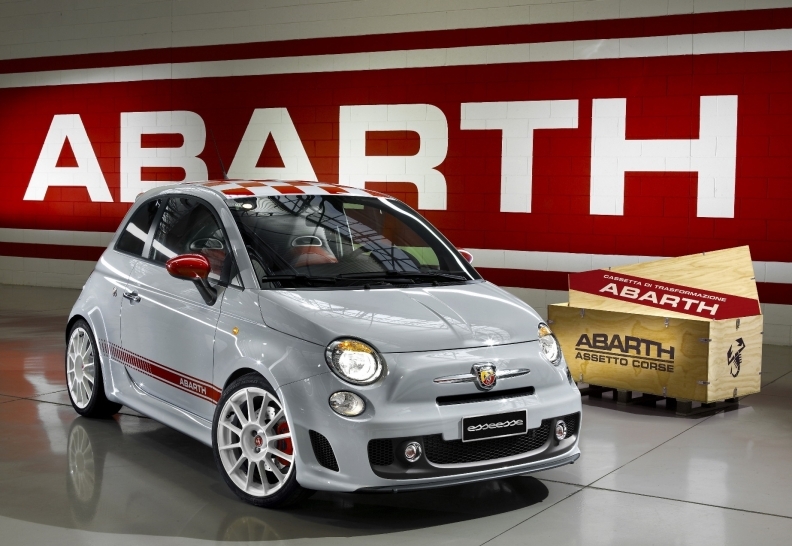 Five months later he added the role of Abarth CEO. Cravero has been CEO of Alfa for just 12 months after replacing Luca De Meo, who was Fiat group's chief marketing officer as well as CEO of the Alfa and Abarth brands. De Meo left Fiat in January 2009 to take up a top marketing job at VW. 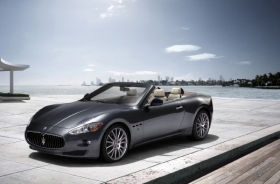 Maserati's latest model is the GranCabrio. Maserati has been owned by Fiat since 1993 and sells exclusive luxury sports cars priced between 114,000 euros and 135,000 euros. The Abarth sub-brand, which comprises sporty versions of the Fiat Punto and 500 cars, was relaunched at the 2007 Geneva auto show.